Lynker is a Small Business and the only HUBZone-certified awardee on the Professional and Technical (ProTech) Oceans Domain vehicle, a $3.2 Billion procurement and one of five Indefinite Delivery, Indefinite Quantity (IDIQ) multiple award contracts designed to provide the full range of scientific, technical, and professional services across NOAA. 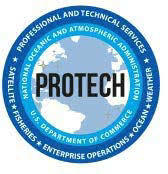 ProTech Oceans primarily serves the needs of NOAA’s National Ocean Service (NOS). NOS’ mission is to provide science-based solutions through collaborative partnerships with industry to address evolving economic, environmental, and social pressures on our ocean and coasts. Lynker has supported multiple NOS division, programs, and projects since our inception in 2008.